Fred has led tours for TourMagination since 2005. He has co-led “Exploring the World of Paul” many times. He has also been to Uzbekistan twice, to learn about the Mennonite presence there. 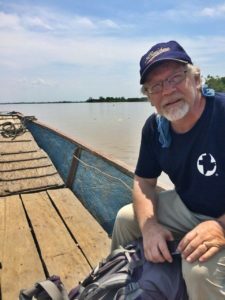 After 30 years of being a pastor in Lancaster and Floradale, Ontario, Fred is now working for Mennonite Central Committee Ontario. He is married to Shirley Stauffer Redekop, and they live in Elmira, Ontario. They have four children, a daughter-in-law, and two grandsons. His hobbies include cross-stitch, writing, reading, cycling, and cheering for the Toronto Maple Leafs.